Just a few more dates left this spring season for both the full band and the trio. We'll be adding a slew of material this summer to play for you in the fall so stay tuned! Full Moon Open Studio Event! "Who are these guys? 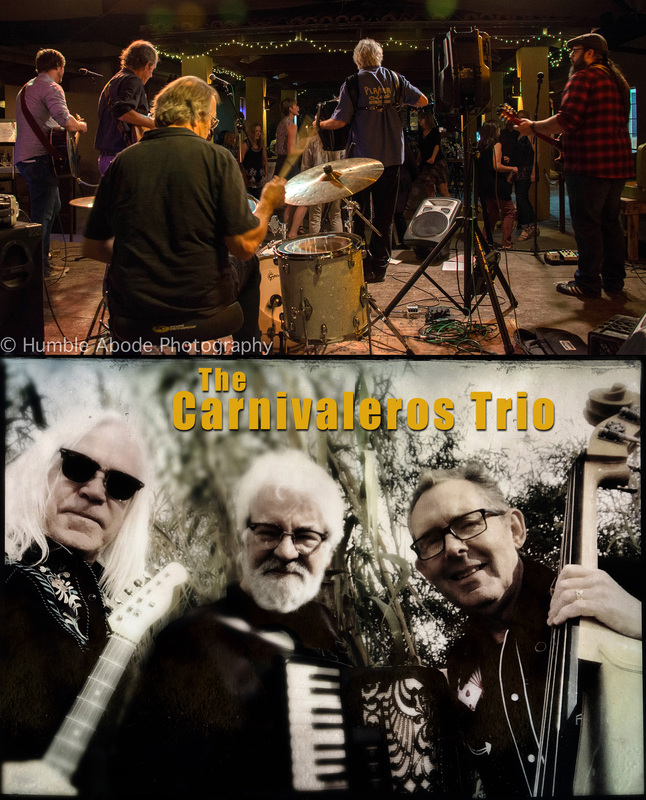 For starters, they are fronted by accordionist/vocalist Gary Mackender (well, he also plays drums, percussion, and additional keyboards), and featuring bassist Karl Hoffmann, drummer Les Merrihew, and guitarist/fretmaster Joe Fanning, plus a slew of Tucson kith and kin pitching in (backing vocalist Bjorgvin Benediktsson is also now listed as being an additional guitarist). Together, the stir up a giant melting pot of sonic chorizo gumbo that will leave you demanding encores. Or second helpings, take your pick.